Two bikers have been critically injured after a car hit two oncoming bikes on Ghizer road. The incident took place early morning in Baseen area of Gilgit. According to eyewitnesses, the car driver got away unharmed while both bike riders were critically injured. The injured have been transferred to District Headquarter Hospital, Gilgit. Locals gather around the car that hit the two bikes on Ghizer Road in Basees, Gilgit. Passengers from other vehicles on the route were the first to rescue the injured. The damaged bikes show how intense the accident was. Unfortunately, both riders were not wearing any helmets. Known for its scenic beauty, the mountainous regions of northern Pakistan are a popular tourist attraction. Apart from picturesque landscapes that meet the eye, what often goes unnoticed is that these valleys are extremely vulnerable to climate change and are categorized as one of the most disaster-prone areas in the world. Over the past few years, the high frequency of natural disasters across Pakistan – and particularly in northern Pakistan – has displaced thousands of innocent lives and has caused severe economic loss impacting public and private infrastructure and livelihoods. The remnants of the Kashmir earthquake on 8th October 2005 are a strong reminder of the high disaster risk vulnerability of valleys in northern Pakistan. Claimed as the most devastating earthquake in the recent history of Pakistan, this earthquake killed more than 73,000 people, injured over 69,000 people, left 2.8 million people displaced from their homes and destroying 450,000 buildings. The aftermath of this traumatizing earthquake led the Government of Pakistan to declare 8th October as the National Day for Disaster Reduction and commit to improving the disaster risk vulnerability of communities in Pakistan. It is also pertinent to note that the United Nations’ General Assembly has declared 13th October as the International Day for Disaster Reduction. To stress the criticality of disaster risk reduction associated with these national and international days, the Aga Khan Agency for Habitat (AKAH) is celebrating the Disaster Risk Reduction Week across Pakistan from 8th to 14th October. 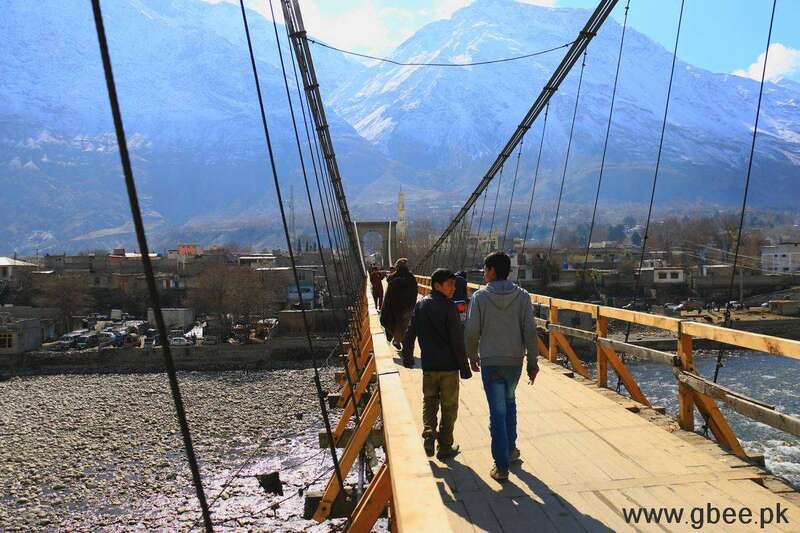 An affiliate of the Aga Khan Development Network (AKDN), AKAH has successfully led community driven humanitarian initiatives to save innocent lives and infrastructure, particularly for communities living in the rural mountainous areas in Pakistan since 1998. Over two decades, AKAH has designed disaster risk plans and formed community-led organizations in over 750 rural and urban settlements to help them prepare and adapt against disasters and respond independently in the event of a disaster. “Through the simulation for earthquake safety organized by AKAH in our school, I have learned that the initial 60 seconds are crucial after a disaster. Hence, rather than panicking, we should take cover and follow the steps taught in the stimulation to save our lives”. The scenario-based drills are not only limited to educational institutions but also conducted in other rural and urban areas across Pakistan. During the DRR Week, these drills focus on communities, especially women and children, to increase their knowledge about disasters and enhance their capacities to respond effectively in disaster situations. In addition, Aga Khan Agency for Habitat (AKAH) is also engaging actively with government authorities to strengthen institutional liaising for better-coordinated response in events of disasters. In this regard, AKAH has trained over 1,000 representatives from government authorities, and over 40,000 community volunteers on effective disaster risk management. The celebrations during the DRR Week reflect the harsh reality that mountain communities in northern Pakistan in particular, and all areas of the country in general, are exposed to a high frequency of natural hazards. On the other hand, the DRR Week reaffirms in raising awareness that losses from such disasters can be minimized if we are collectively well prepared against tackling the natural disaster.